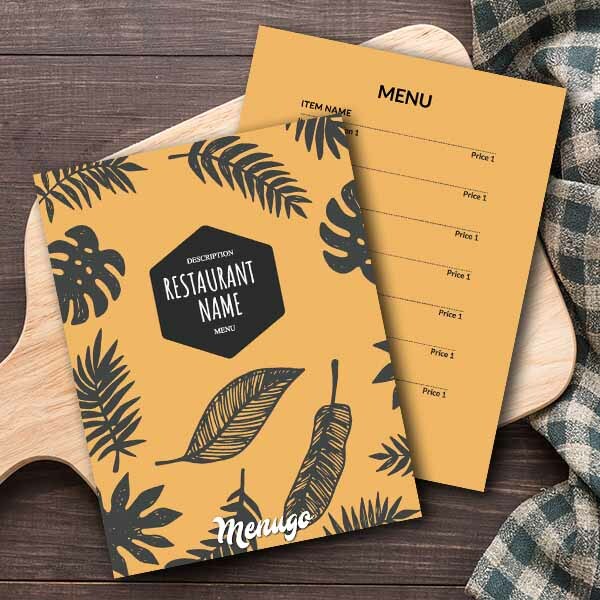 Our new Yellow Generic Menu Template is perfect for your eatery, restaurant, cafe or even bar. Designed in a modern style using warm yellow colors. Leaves on the cover makes this menu be suitable even as a season menu!